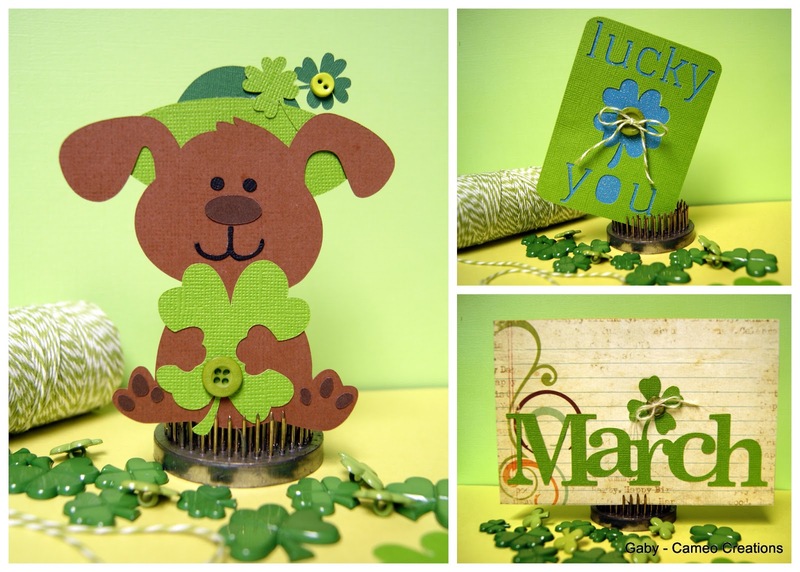 I decided to create a couple of cards and a cute bear to use on my PL for next week. St. Patrick's day happens to be my grand daughter's birthday! And since the challenge is to add buttons, I made sure I included some! Love the clover buttons I had purchased but since my projects already have clovers, I decided to go with the more traditional buttons.